StaffAny helps manpower heavy businesses make time so that they can do what matters. We are the manager’s best friend! Today, we help with the management of hourly workers by connecting HR and Ops. With an integrated scheduling and automated timesheets solution, we remove the need for manual administrative tasks, so that businesses can focus what matters — growth! Hourly workers are underserved, and we want to better empower them. Therefore, our long term objective is to build trust between the different stakeholders and to influence the landscape of the future of work. What motivated you to create StaffAny? I had a personal experience of managing a bar, where I faced the problem of managing hourly workers. From the administration to the performance of staff — it’s really hard! My team felt that it was a problem worth solving, the timing was right, the unit economics made sense, and despite being a rather fresh team (started while in uni), we felt we had a great chance of solving this problem! I think the thought of starting something new on our own was inspired by us being problem solvers and wanting to make things better. 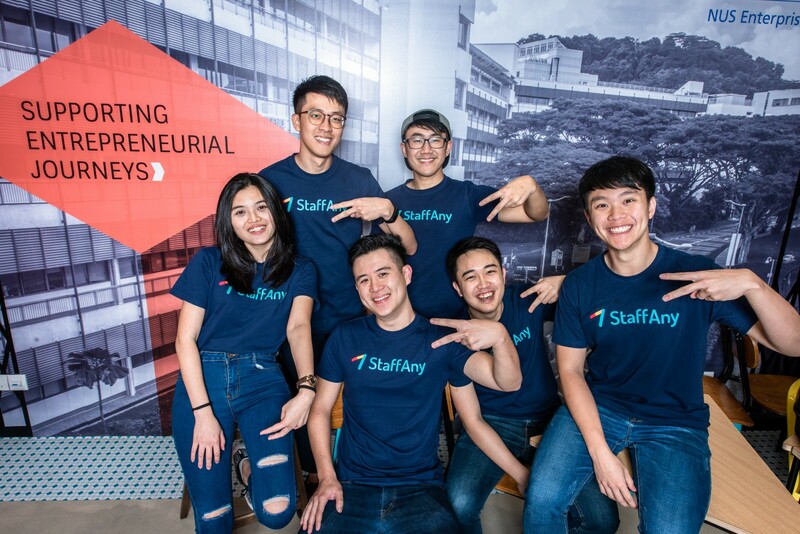 Our team started working on StaffAny as an NUS Overseas College module in Silicon Valley back in 2017, and had some early traction in 2018. Prior to that, we had also worked with each other on separate startup projects and hackathons! How was the process of building StaffAny like? Our first MVP was a barely functional web app that was not fully validated by our audience — we made the classic rookie mistake of not being close to our user. Following which, we did about 100 door-to-door interviews to better understand the problem of what is needed for product success. Our second MVP was a native app that does scheduling for managers, and it only had one function. We learned from the mistake with our first MVP, therefore, we made sure to be close to our early beta users. At that time, it was extremely difficult to get early beta testers because of the rigidity and the limited features we had to enable their feature success. We grossly underestimated the time required to build something simple and likable, and struggled very hard in our early days. We were lucky to have early believers like Jasmine from The Royals Cafe, Weijie from Foreword Coffee, Norman, Sino and Stan from Stickies Bar and Sharon, Paul and Gavin from The Cooperage supporting us from the beginning. It was a period of doing things that did not scale and being extremely close to our customers. One of the biggest challenges we have faced with StaffAny was underestimating the complexity of the problem we are solving for. We thought that ops management was easy to solve, and that we could build a product in 3 months, but we were totally wrong. Even as we began to understand our users better and improved our product to solve their pain points, even today, we are not even 1% there yet. We are currently in StartupX’s inaugural pre-accelerator cohort (The Start), so we have been busy with that! The programme has been helpful for StaffAny as it has introduced us to friends who are going through the same startup journey as us. 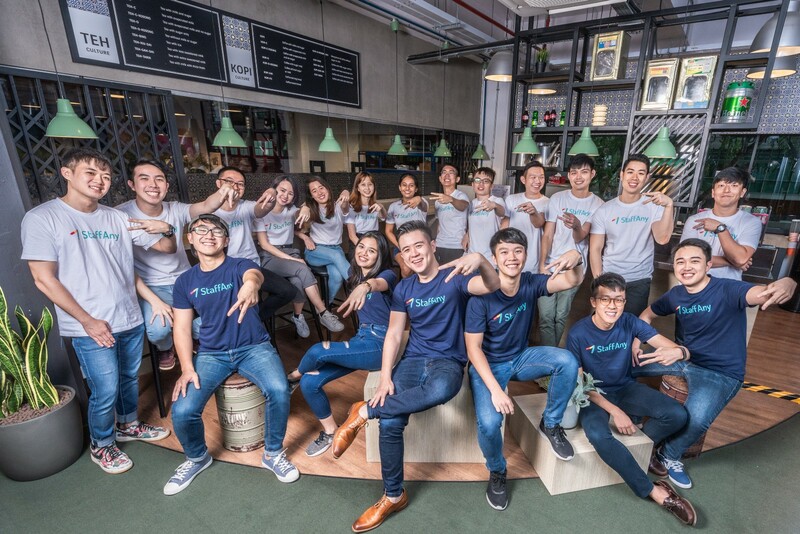 We first heard of this programme through Startup Weekend Singapore and decided to sign up for it because we wanted to grow faster through the mentorship from esteemed mentors and coaches. We also wanted to be in a cohort of entrepreneurs to work hard together and help each other along the way — which has been pretty successful as we frequently share leads with one another. P.s. We would like to use this chance to give the programme managers at The Start a hi-5 because they have been awesome in coordinating all the workshops for us! We are also busy with working on doubling the number of happy locations we are serving. In the near future, we hope to hit mass market adoption and profitability! And most importantly, we want to work towards creating more value for our happy customers and becoming their best friend. Keep a lookout for amazing updates from StaffAny!